Looking for some tasty options this fall? The Daytona Beach area has just launched the Daytona Beach Ale Trail, a collection of microbreweries and taprooms scattered throughout its must-see points of interest. 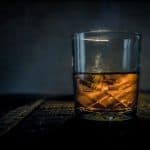 Fall is the perfect time of year to try out some tasty, new brews, and the microbreweries and taphouses in the Daytona Beach area have some new additions that provide perfect pairings for your favorite foods. 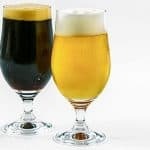 Pairings have gone beyond merely food, with the creative juices flowing, including everything from beer and gourmet food to beer and yoga pairings. Add some tasty custom brews to your current travel itinerary, or dedicate several days to experience the growing “Ale Trail.” Each location has a special atmosphere — and all are owned and operated by those who are truly passionate about their homemade brews. The offerings are diverse; some serve delicious tapas and meals, and others encourage guests to visit neighboring eateries and bring dishes in, picnic-style. So grab your designated driver and start plotting your itinerary. The mapping function on DaytonaBeach.com may be helpful. BJ’s Restaurant & Brewhouse was recognized at the 2015 North American Craft Beer Awards where it received several medals. Always on tap, look for brews like Brewhouse Blonde, Piranha Pale Ale, and Berry Burst Cider. 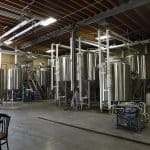 Daytona Beach Brewing Company is a production brewery with a great tasting room. Meet up with friends, or make new ones, over a citrusy Beach Town Pale Ale, Road Course Red Ale, or a Halifax Hefeweizen. Daytona Taproom, located in the trendy Seabreeze Blvd. Entertainment District, carries 50 craft beers on tap and is well-known for its fresh burgers. New Smyrna Beach Brewing Company is just off Canal Street in downtown New Smyrna Beach. Enjoy the quaint surroundings and sample brews like Summer Storm Hefeweizen, Disappearing Island Apricot, and Old Fort Coffee Stout. Odd Elixir Meads is a small batch meadery located inside DeLand Abbey in Historic Downtown DeLand, Florida. Their approach to meads marries traditional techniques with a creative approach to ingredients and flavor integration. 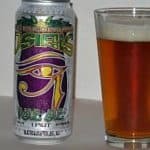 Ormond Brewing Company is a craft brewery tucked away in Ormond Beach that specializes in unique and flavorful beers brewed on site. It has a relaxing inside tavern with a photo collection depicting the glory days of beach automobile and motorcycle racing, as well as a landscaped beer garden with a fire pit and live music. Persimmon Hollow Brewing Company is nestled in the heart of nearby historic downtown DeLand, Florida. The back door of the brewery opens onto Artisan Alley, home of several great boutiques, an incredible farm-to-table restaurant, and the famous Friday night farmers market. With names like Beach Hippy, Daytona Dirty Blonde, and Lost Fisherman, you can’t go wrong! Seabreeze Taphouse tops off a full liquor bar with a whopping variety of over 100 craft beers, 25 of which are on tap. You will find a good mix of American and European producers, with a healthy dose of Canadian makers thrown in. Tomoka Brewery, an original beachside treasure in Ormond Beach, is now a dedicated sour lab that produces ales like Mexicali Blues, brewed with lime, agave nectar, and sea salt. It features a popular food menu and brews like Hazy Sunrise Wheat, Lunar Eclipse Stout, and McCarthy’s Irish Red. At random intervals, you might even see the Elvis Peanut Butter Banana Sandwich Brown Ale on the menu. Tomoka Brewing Company, Tomoka Brewery’s sister pub in Port Orange features an even larger venue with great beers and food, including delicious pizza – and the popular Eggs and Kegs Brunch! 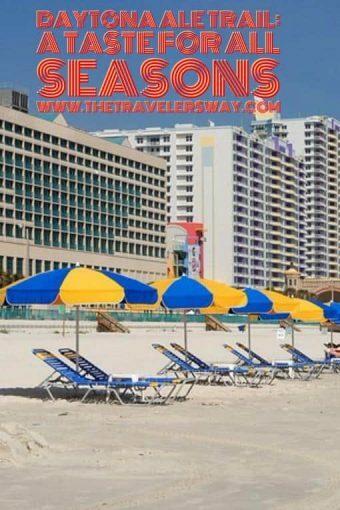 Looking for a few more reasons to visit Daytona Beach this fall? Don’t miss some of the Festival Capital of Florida’s most popular events, including world-famous Biketoberfest, the Daytona Blues Festival, the Halifax Art Festival, and more. Enjoy a few. 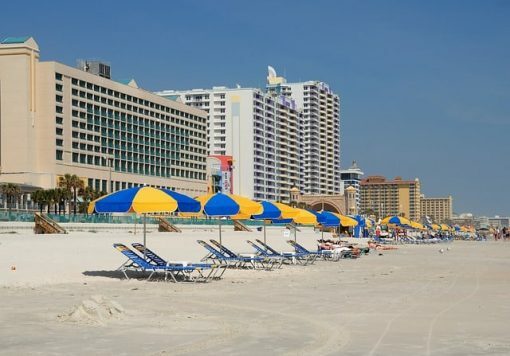 Or enjoy them all, as the people, the accommodations, the food, and the sense of place is uniquely Daytona Beach. Recognized worldwide for its annual events Daytona Beach’s famed heritage also claims the headquarters of LPGA and NASCAR — and is home to Daytona International Speedway, the ‘World Center of Racing.’ Accommodations can be found for all lifestyles and budgets, including resorts, B&Bs, luxury hotels, and everything in between. Enjoy the quintessential vacation experience beginning with the Daytona Beach Boardwalk and Pier, or choose from a surprising list of attractions and cultural venues and a colorful culinary scene. And don’t forget those 23 miles of world-famous beaches ideal for shelling, swimming, and surfing.